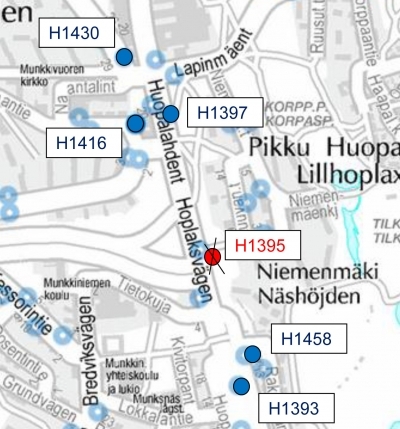 The 1395 "Niemenmäki" bus stop on Huopalahdentie will be closed for about a month from Tuesday 13 September 10am. The stop is served by routes 14, 18, 35, 39/B/N and 552. On other routes, 1393 "Lokkalantie" on Huopalahdentie and 1397 "Munkkivuori"